Like the every-spring potholes that cause drivers to swerve all over northern Illinois roads, the annual goose droppings that turn NIU sidewalks into pseudo-minefields force pedestrians to walk with care. But the hazards of those droppings fly far beyond sticky, stinky shoes. Damage caused by geese in Illinois has become significant, prompting new management strategies by state and federal agencies to provide assistance in resolving the problem. According to the U.S. Department of Agriculture, an adult Canada goose can produce as much as three pounds of feces daily. “Excessive goose droppings are a disease concern for many people,” the report stated. Agricultural and natural resource impacts include losses to grain crops, overgrazing of pastures and degrading water quality. In heavy concentrations, goose droppings can over-fertilize lawns and degrade water quality, resulting in eutrophication of lakes and excessive algae growth. Excessive grazing by Canada geese would likely increase erosion along shorelines of ponds and lakes, golf courses, yards and parks, negatively impacting water quality and cause increased erosion and sedimentation. During nesting and blood-rearing, aggressive geese have bitten and chased people, and injures have occurred due to people falling or being struck by wings. NIU, which is home to eight storm water retention ponds, expansive open short-grass fields and an inadequate population of predators, offers an attractive habitat to the Canada geese. Their annual presence near the East Lagoon covers sidewalks and parking lots with feces, snarls traffic when the geese decide to cross the road and occasionally provides scary moments for pedestrians when they unknowingly traipse near the nests. Jeff Daurer, associate vice president for facilities planning and operations, believes those unwanted traditions are over. 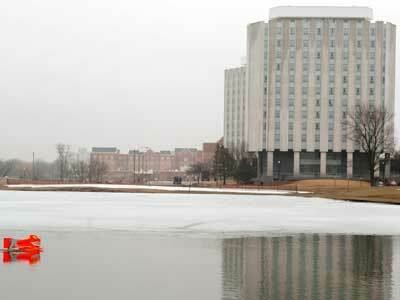 NIU will pilot a non-lethal and non-contact program this spring to encourage the Canada geese to move to a secluded cluster of ponds on the undeveloped far northwestern corner of campus: Say “hello” to the Goosinator. 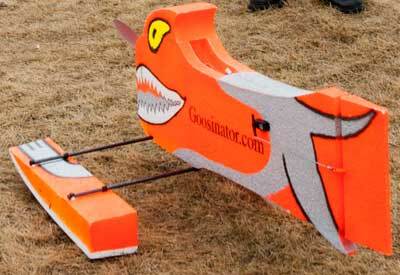 The Goosinator is a remote-controlled vehicle built to resemble some of the predators of geese, which begin to flee at just the sight of its menacing glare and teeth and its coyote-like movement. 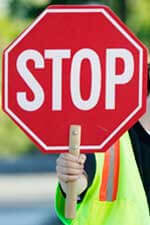 “The colors were researched by Cornell University, and we applied those colors to the body. It is primarily orange and silver with yellow eyes. That combination leaves the longest imprint into the minds of the geese,” creators of the Goosinator state on their www.goosinator.com website. Most important to Daurer is that the Goosinator allows to the university to work within the law and in cooperation with the Illinois Department of Natural Resources. Daurer obtained guidance and consultation from an administrator and a wildlife biologist from the IDNR and from a local wildlife refuge leader. The Migratory Bird Treaty Act of 1918 protects the geese, he said, although special permits are available to “manage” the population by destroying nests. Canada geese arriving at NIU for the spring have neither nested nor laid eggs yet, he said. Capt. 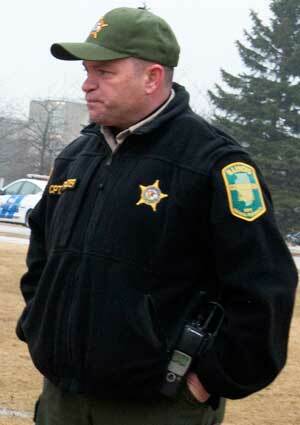 Hank Fraizer of the Illinois Conversation Police, who came to campus Wednesday to watch a demonstration of the Goosinator, said it’s important for universities to find an advantageous balance between nature and normal campus operations. NIU staff who will operate the Goosinator have received special training, Daurer said. They will use the machine beginning in the early morning on the eastern edge of campus and moving westward to the ponds that are near the natural food sources provided by neighboring farm fields and away from the dangers of vehicular traffic. According to the Goosinator website, most clients “run the Goosinator really hard for about a week, and then the geese pretty much stay away.” Afterward, the creators state, the geese “tend to just stay away” when the machine is used a couple times a week. If you enjoy visiting the East Lagoon to toss bread to the geese, stop!